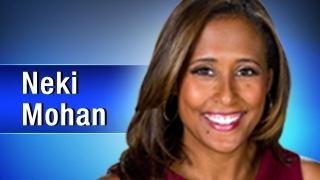 Neki Mohan is a veteran anchor/reporter in South Florida who brings experience and energy to everything she does. Born in NY, and raised in the Caribbean, she connects with the raw energy of the many diverse people in South Florida. Whether it’s a hurricane or a political campaign, Neki has tackled it. Before settling in South Florida for the past 10 years with WPLG-TV, Neki worked on award-winning teams in Cleveland, Ohio, Los Angeles, Washington DC and Jackson Mississippi. A graduate of the University of Maryland with a degree in Journalism and politics, Neki credits the education she got on the streets with her ability to talk to just about anyone. Having had the opportunity to be mentored by journalism greats like Peter Jennings, Carole Simpson, David Brinkley, Bob Schieffer, Cokie Roberts and many more, Neki knows the power in mentoring. As a mentor in the Women of Tomorrow organization, she empowers high school girls to discover their full potential. She has also taught journalism seminars for the National Association of Black Journalists as well as the Asian Association of Journalists. What she is most proud of though, is her family. “We have a feisty young daughter who challenges us every day to think deeper, be better and take plenty of vitamins to keep up with her,” she says.